For the founders of Landlord Web Solutions Jason Leonard, David Koski, and Michael Mottola, celebrating LWS's 8th anniversary involved reflecting not only on the evolution of the company, but also on the industry that they have dedicated themselves to collectively for over 35 years. This reflection prompted the team at LWS to develop the following series, which offers a deeper look at LWS's growth alongside an industry that has dramatically changed throughout the last decade. 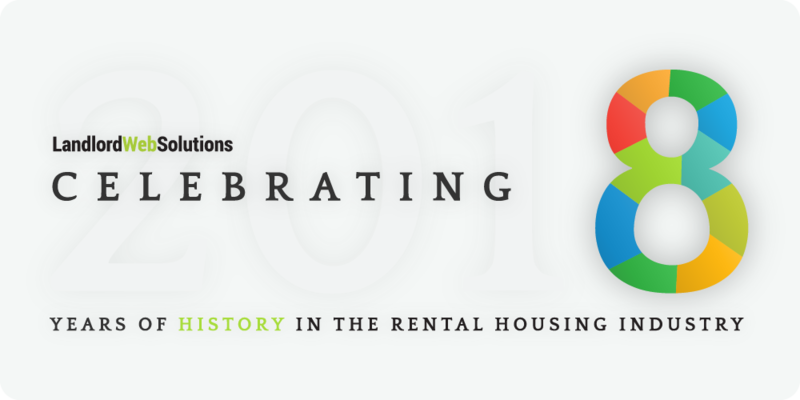 Over the next 8 weeks, LWS invites you to join in on this reflection as we look back at 8 years of history in the rental housing industry. Internet technologies have left virtually no industry untouched over the past few decades. For many industries, the transition online didn't require a lot of thought; the internet just provided an easier way to carry out the same old services. For others, finding the sweet spot of user experience for both distributors and consumers proved to be a more taxing process. Jason Leonard recognized early on that the Canadian rental housing industry had fallen into the second category. By 2010, property management companies and individual landlords alike had not yet capitalized from the advancements in technology that would ultimately come to affect every aspect of their industry. At this time, the industry was still dominated by platforms that mirrored print listing resources, like Craigslist. For property managers, platforms like Craigslist and other similar competitors meant hiring employees whose full-time jobs consisted solely of manually and individually creating, checking, updating, double-checking, deleting, and triple-checking listings, on endless listing sites, for each property they managed, on a daily basis. This led to issues involving outdated ads and prices, time delays in marketing vacancies, and an overall inability to target the correct markets. All the while, companies failed to see the benefits of having their own unique web presence. Many still relied heavily or entirely on print marketing, and you wouldn't need more than two hands to count the number of property management companies who had a website at all, never mind one that was well-suited for this industry. Leonard recalls the struggles of working with designers and developers who had no knowledge of the rental housing industry. Setting these clients up on complicated content management systems meant constantly working through bugs and ultimately failing to produce a website that catered to the increasing number of people who were turning to the internet to find their new homes. Finally, in 2010, Leonard joined forces with seasoned designer David Koski and crafty developer Michael Mottola to help bring the rental housing industry into the 21st century. Their success started with the creation of The LIFT System, a comprehensive content management system built to suit the unique needs of the rental and property management industries. Today, this platform operates at the core of nearly every service LWS offers. Mottola, who led LIFT's development, believes that its first implementation was almost entirely fashioned by the direct needs and feedback of LWS's first 20 or so customers. "In these early days, we had a lot of feedback," says Mottola. "While we have grown significantly, we still value customer feedback to help us make the right decisions about the direction of our products." While Leonard already had a decade of industry experience under his belt, he believed that the fastest way to build his partners' industry knowledge was for them to have extensive direct contact with their clients. Now 8 years later, the knowledge base of the team extends far beyond the partners to a rapidly growing team of individuals that collectively have over a 4 year employment average with the company. "Our expertise and narrow focus on the rental housing industry are what set us apart from competitors," says Leonard. "When we work with clients, we become an extension of their team and integrate seamlessly with their processes." "Managing everything with LIFT has been a wonderful experience," says long-time client Tom Johnston, Vice President of Cressey Developments in Vancouver. "Collecting and storing everything in one place has allowed me to keep up with high rental demands, and the online support from LWS is unbeatable. I can't imagine working in this industry without them." Customer feedback culminated again in 2013 to produce RentSync. This flagship asset of LWS marked another major evolution in the Canadian rental housing market. Look out for our next post to learn more about syndication in the rental housing industry, and how RentSync impacted the services LWS has come to offer.